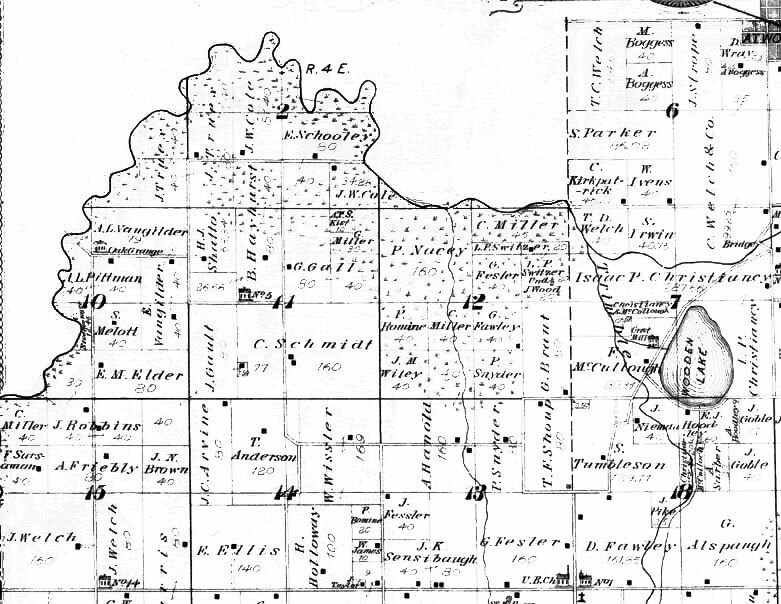 This publication is one of 7 important history books for Kosciusko County, Indiana. 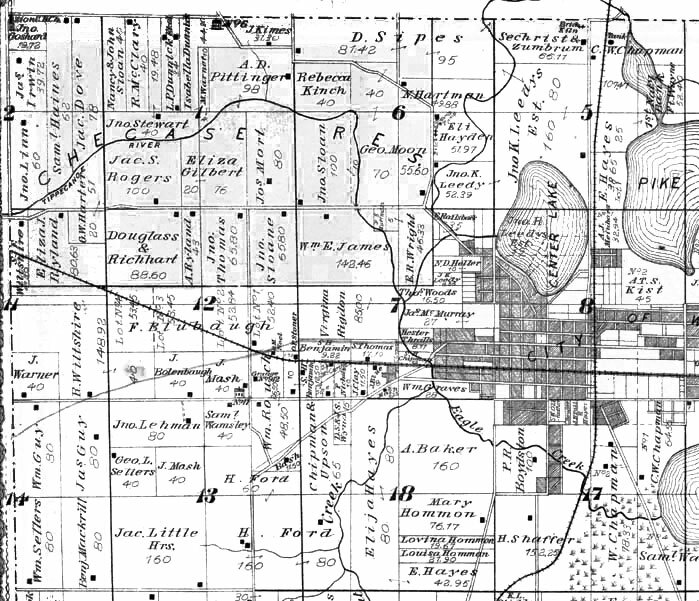 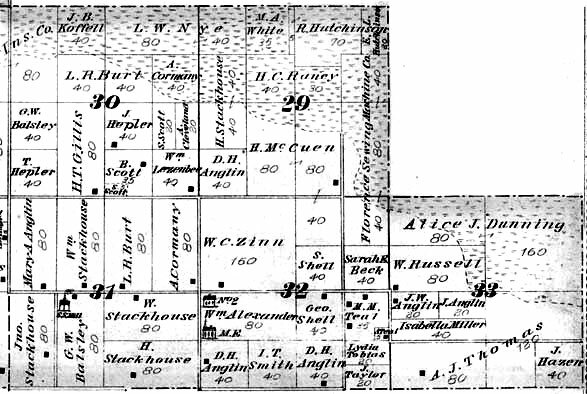 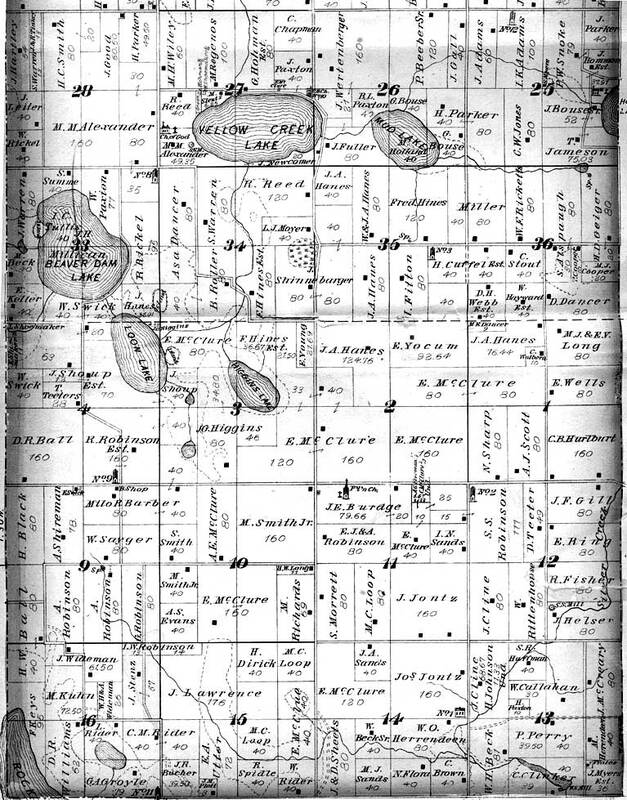 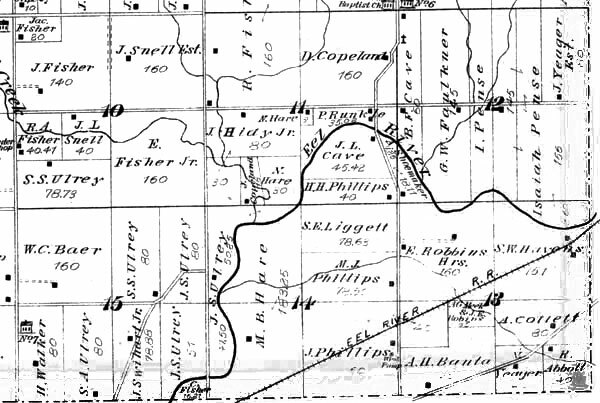 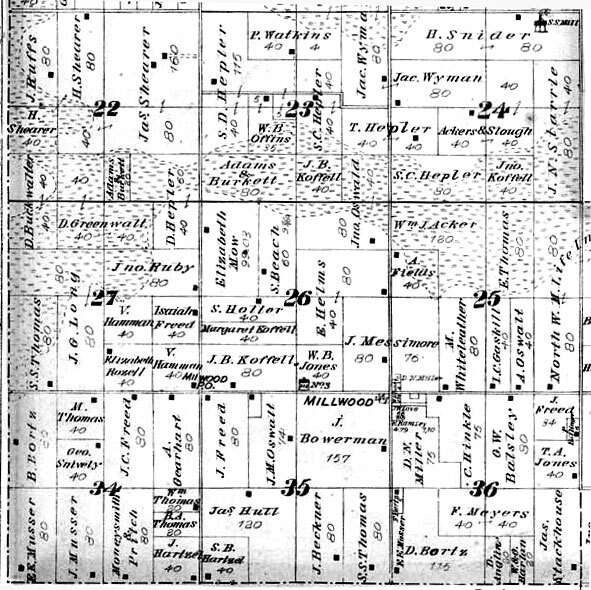 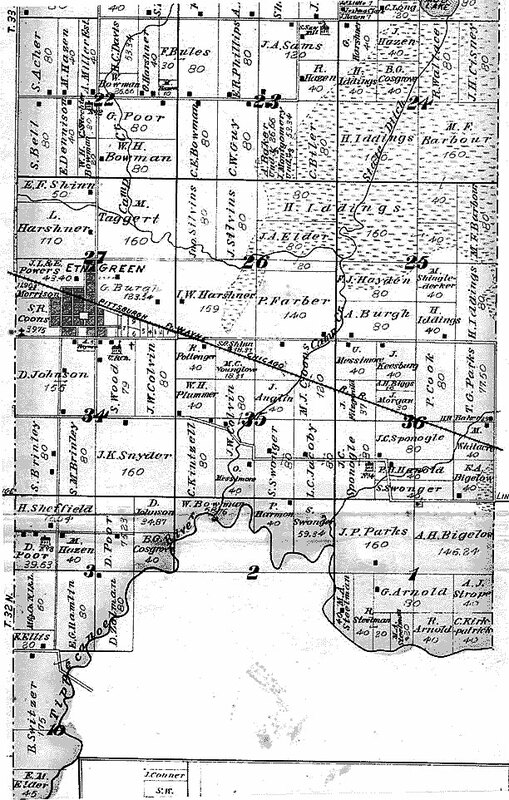 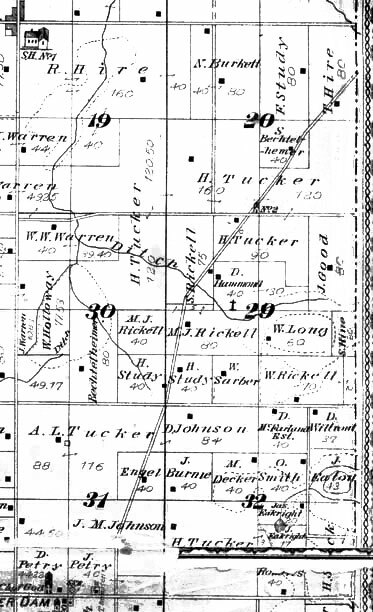 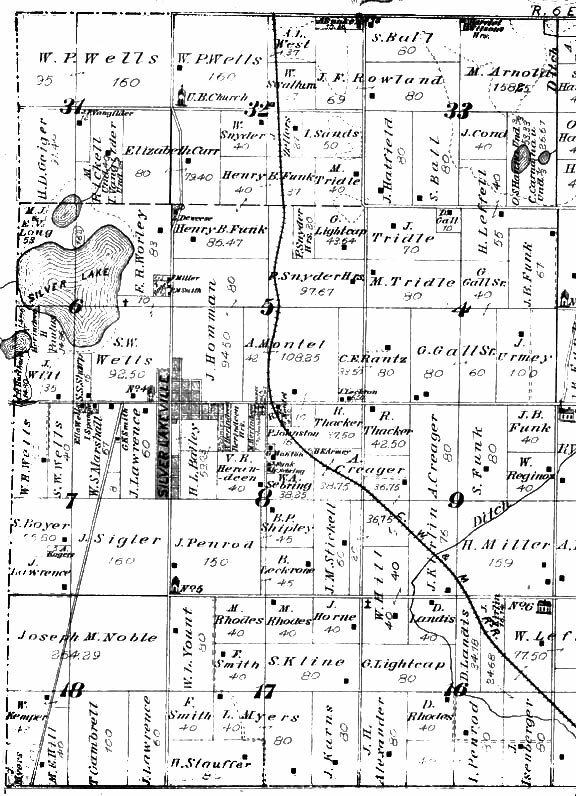 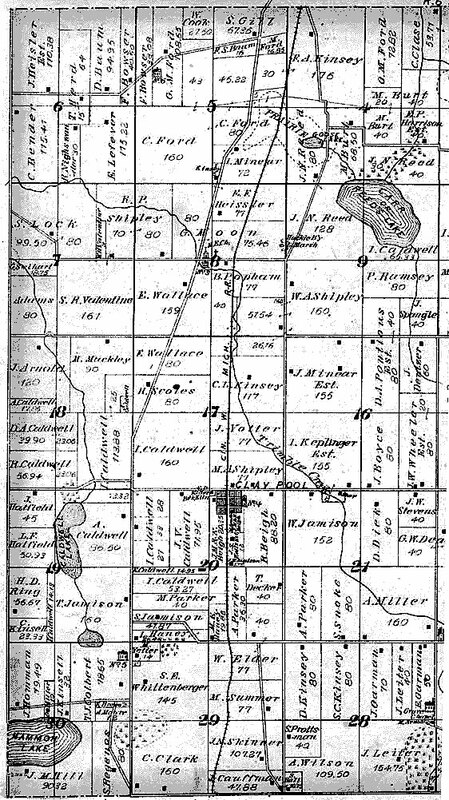 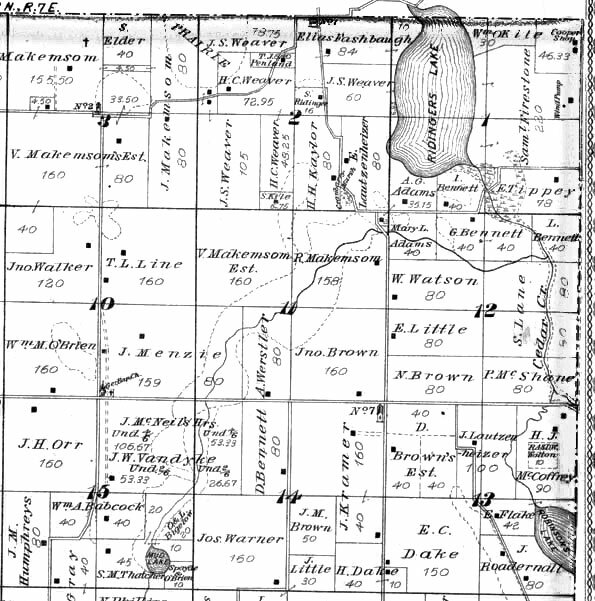 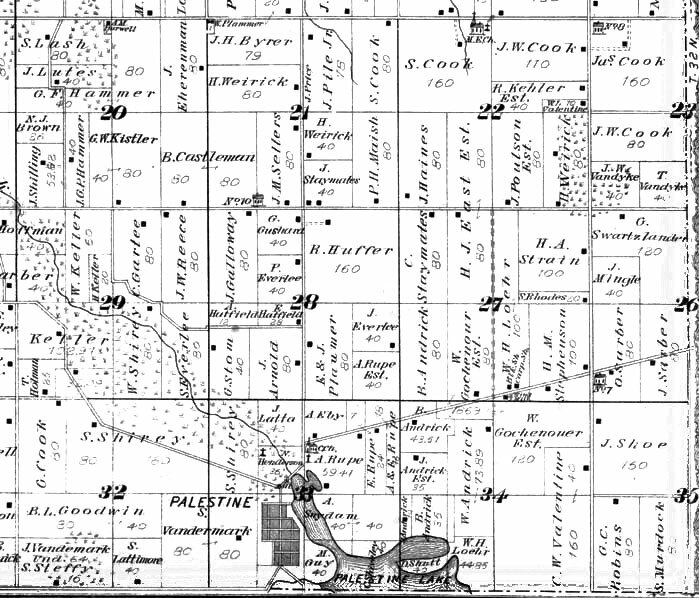 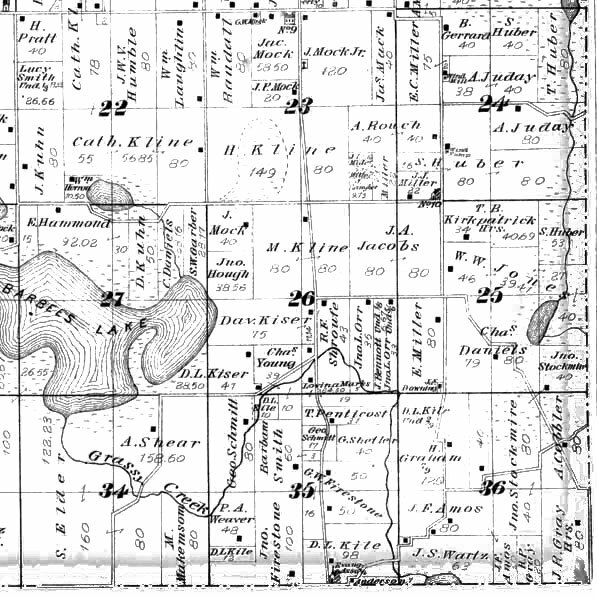 In 1879, Kingman Brothers published this combination History book and Plat Maps of Kosciusko County. 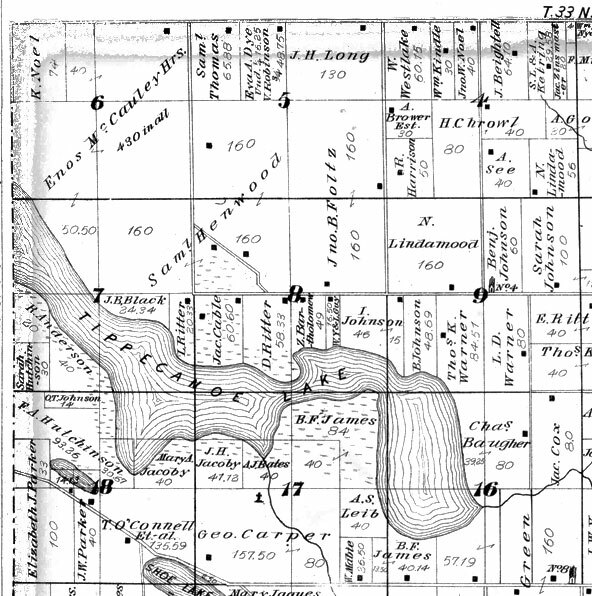 Presented for your research are three views of the Plat Maps from this publication: 1. 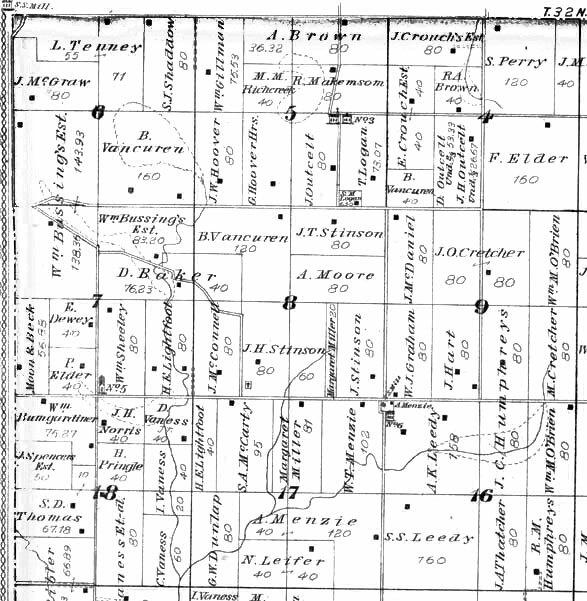 Plat maps for each township, 2. 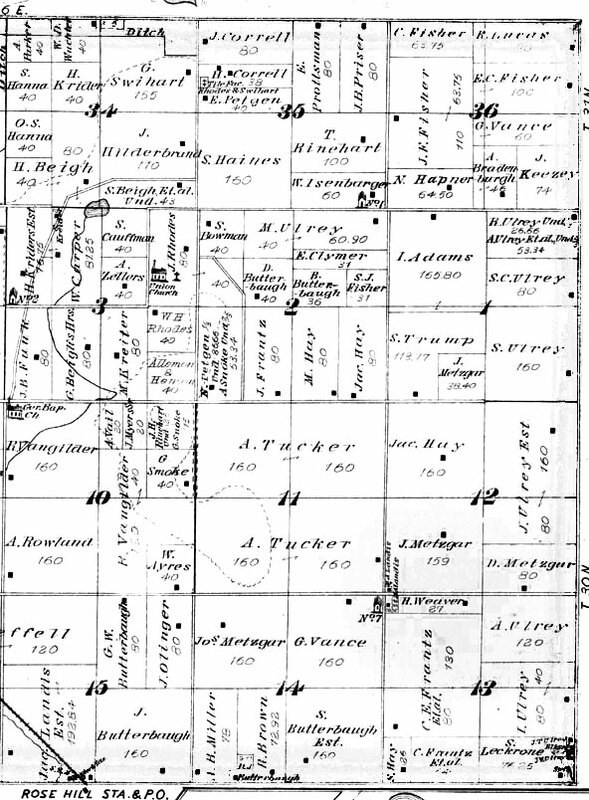 Index of names for each township, 3. 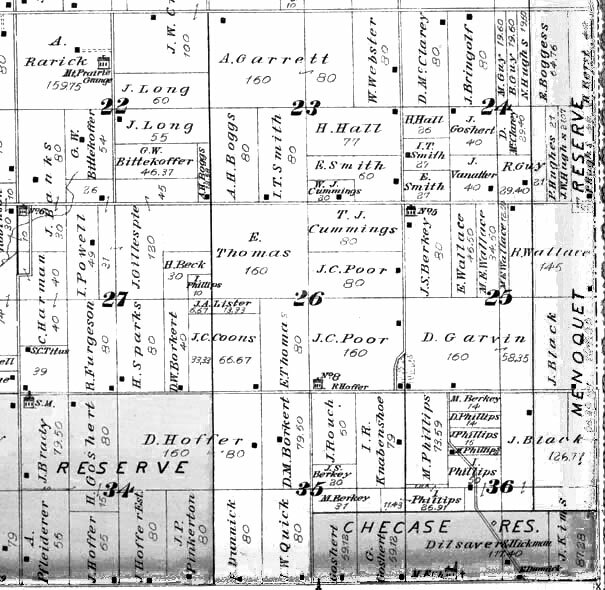 Every name index for the entire county. 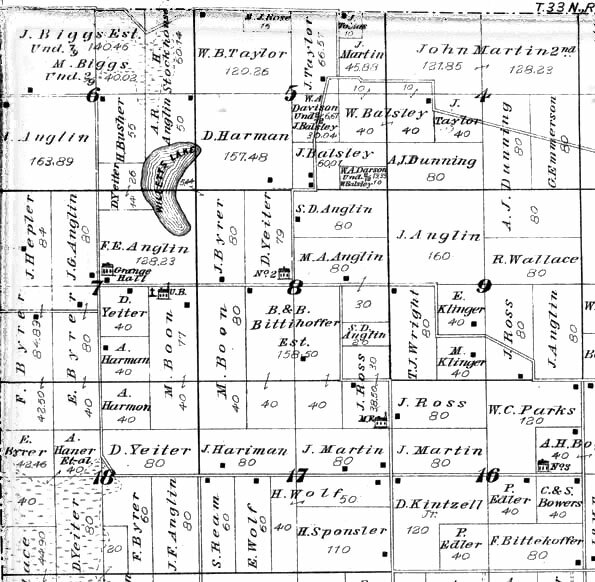 The two indices include links for each individual to the plat map image. 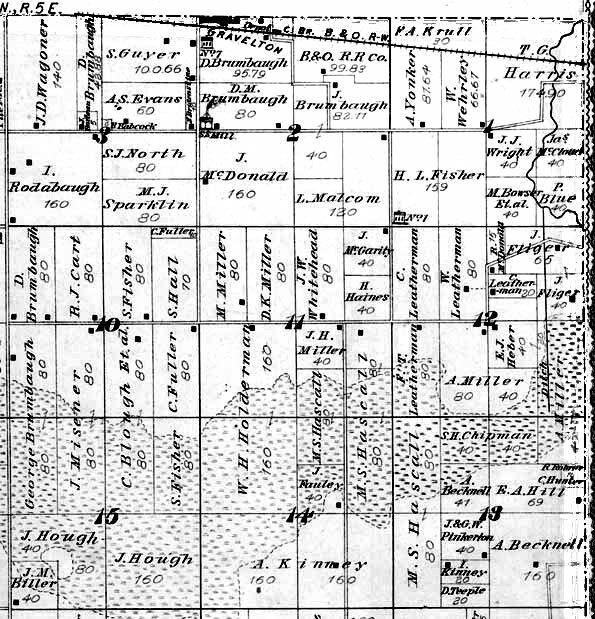 In addition to the plat maps, this book contains plats of most of the villages and towns, lithographic views of residences in nearly all of the townships, and portraits and biographies of many important officials of the county. 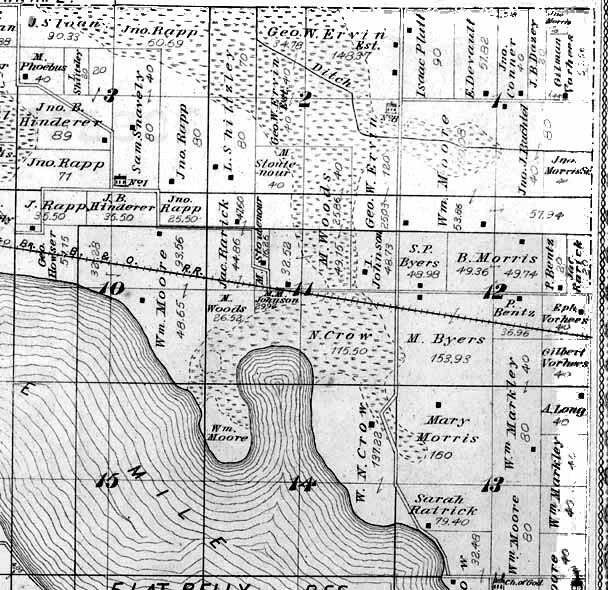 There is also an Aboriginal History by J.F. 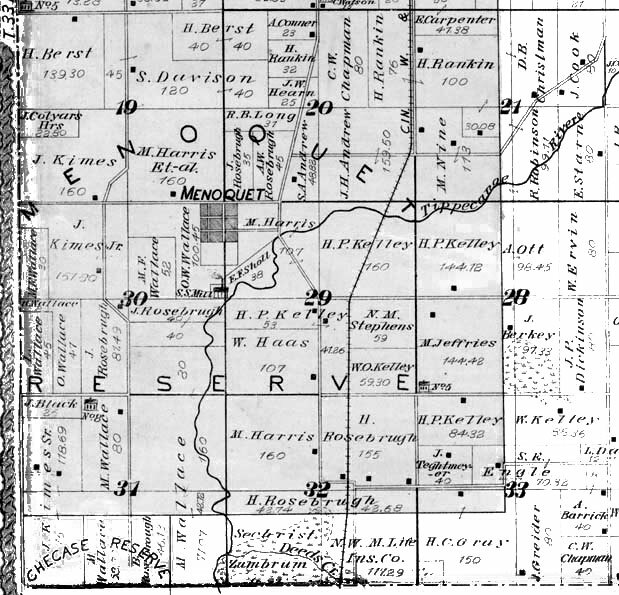 Everhart, with a specific history of Kosciusko County aborigines written by Metcalfe Beck and William C. Graves. 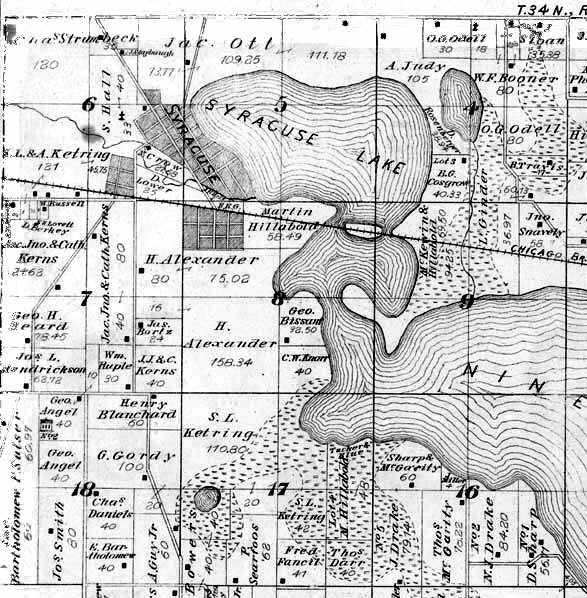 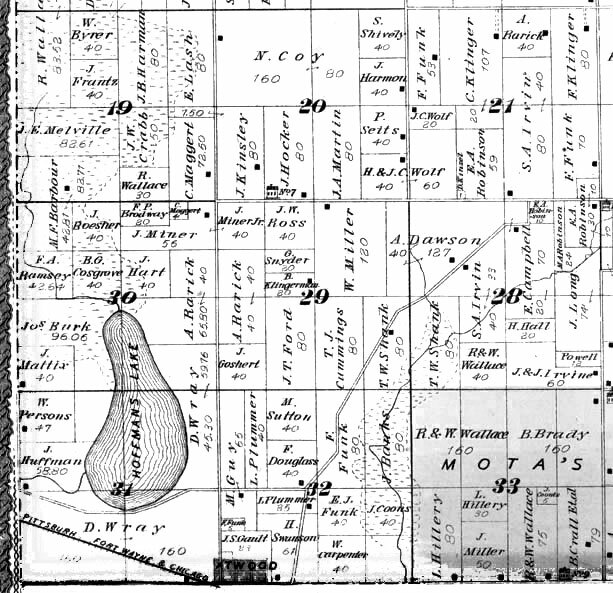 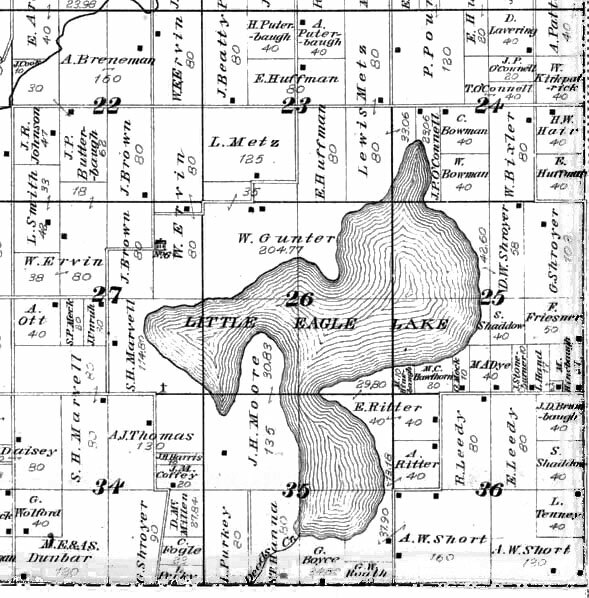 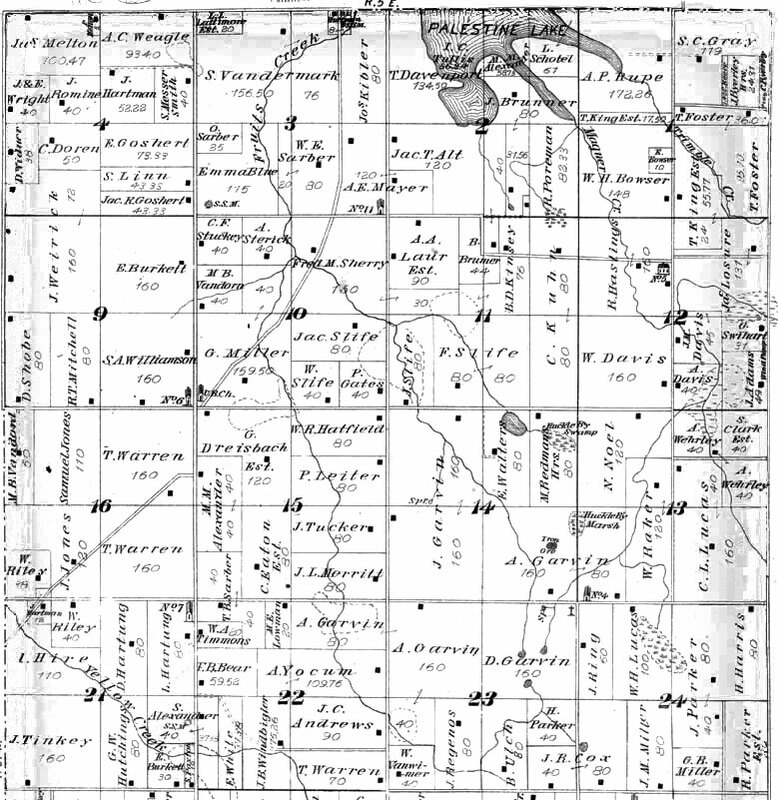 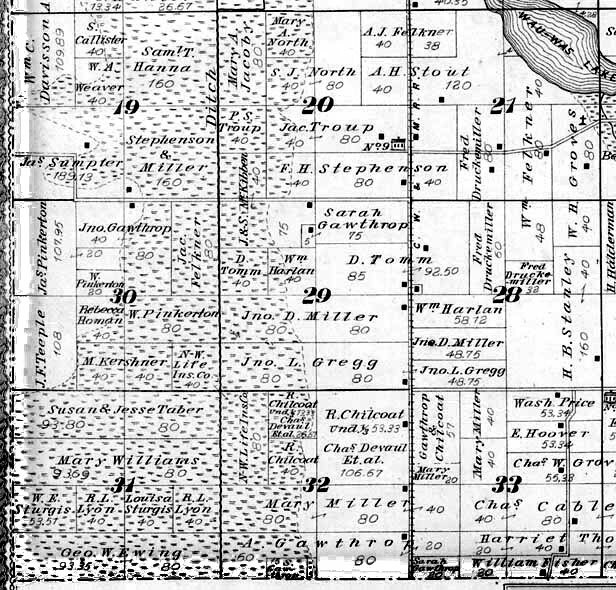 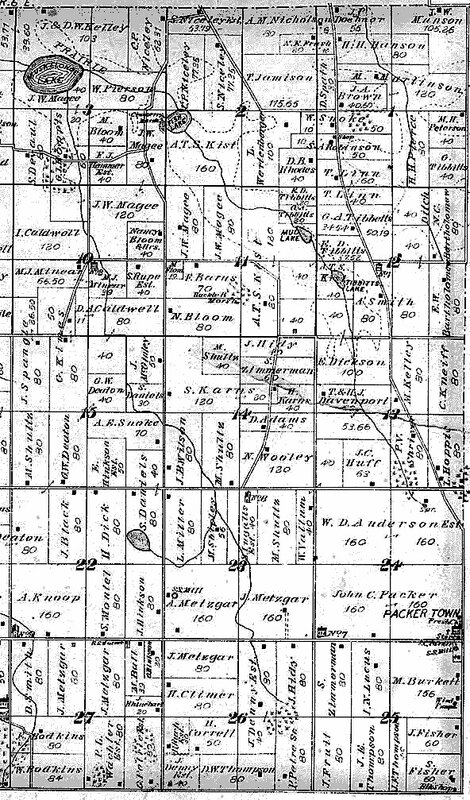 There is a history of Kosciusko County that includes such things as geology, buildings, petition to incorporate Warsaw, histories of various churches, schools and some industries. 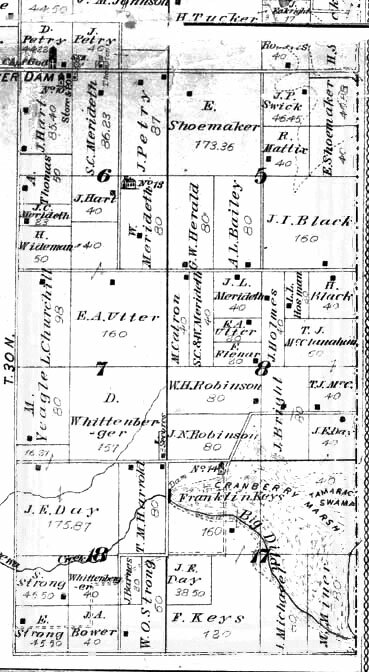 There is a Military History section written by Col. J.B. 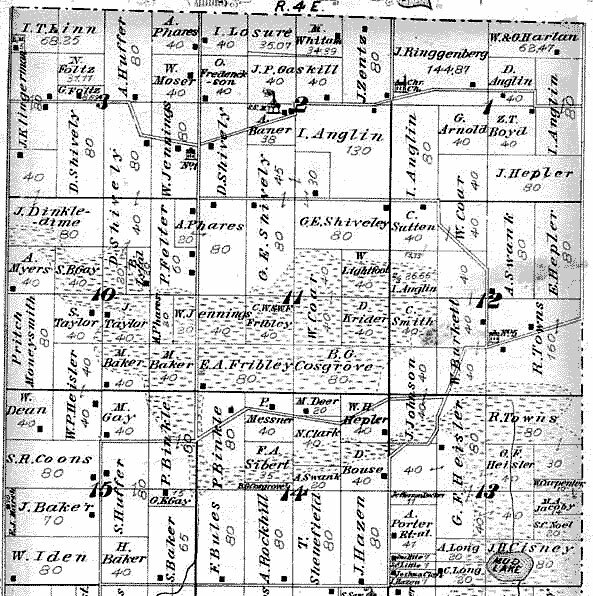 Dodge that includes a short history of each regiment that included Kosciusko County men and a list of Soldiers from Kosciusko County in the War of the Rebellion. 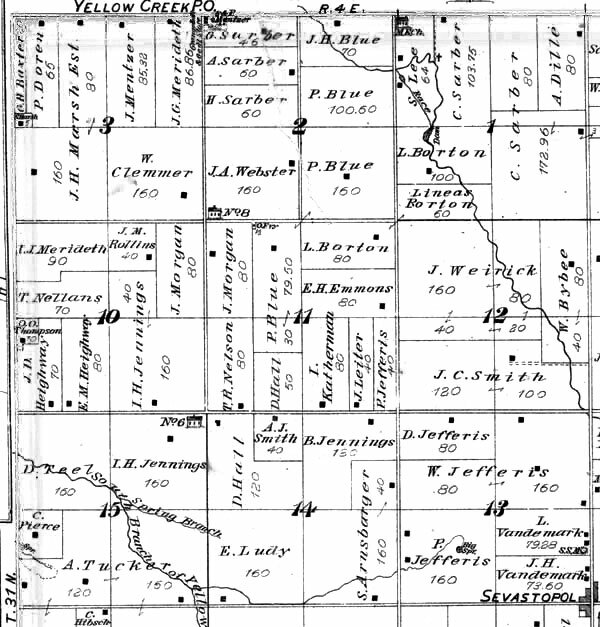 This list of soldiers that been transcribed and can be found here. 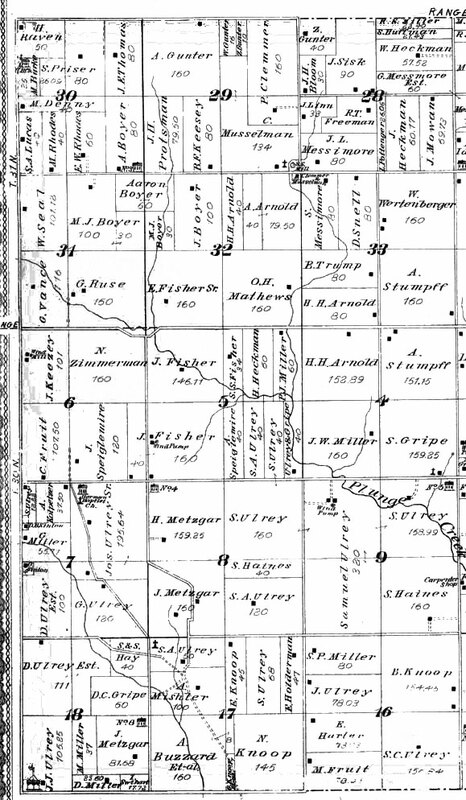 Following this list, L.H. 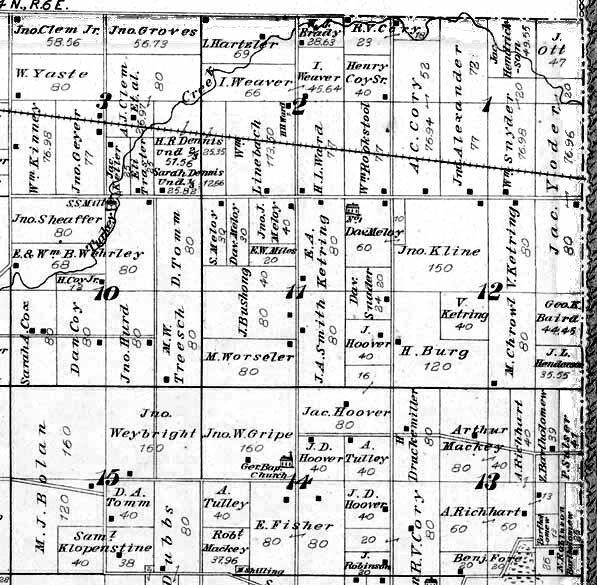 Newton compiled a brief history for each township. 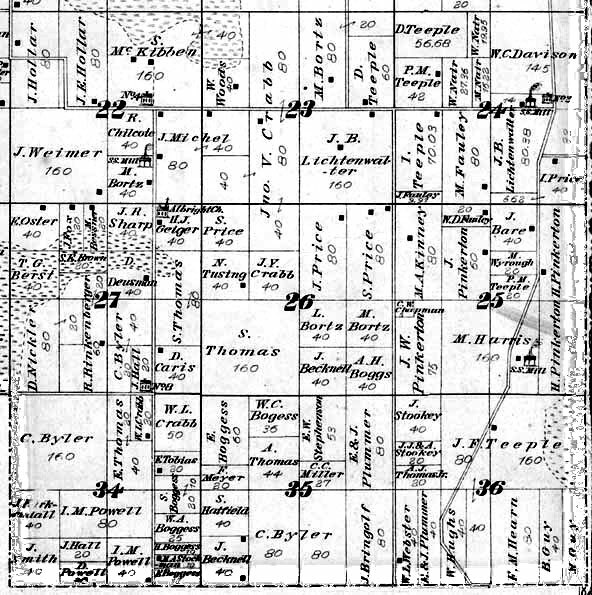 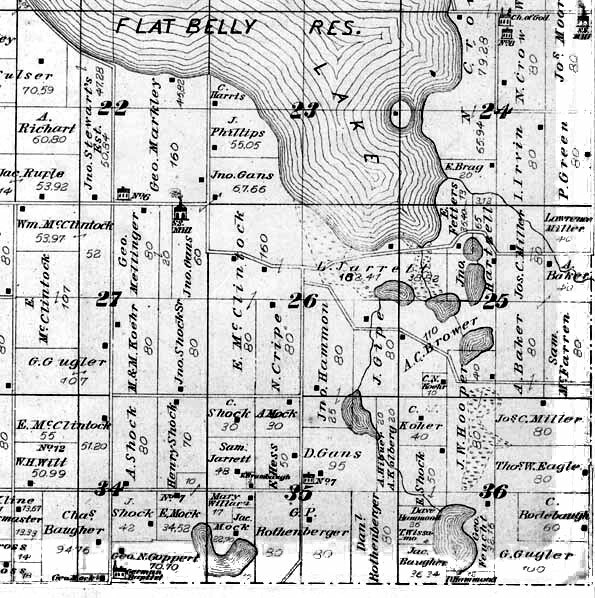 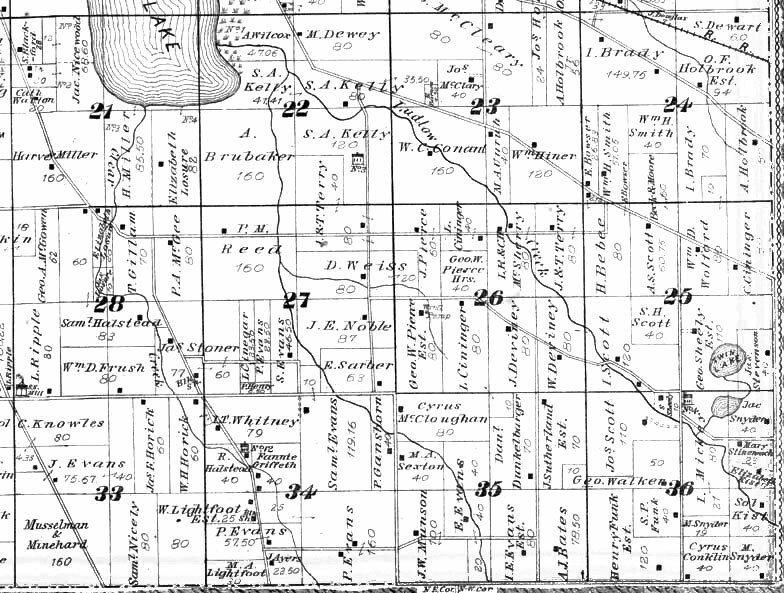 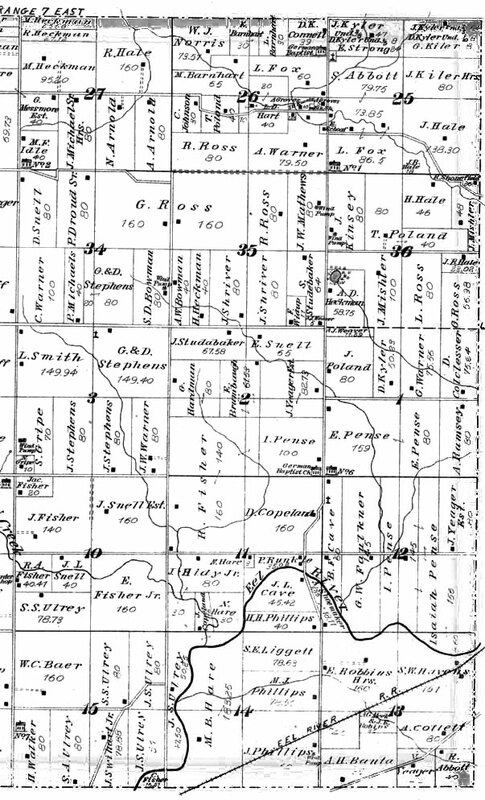 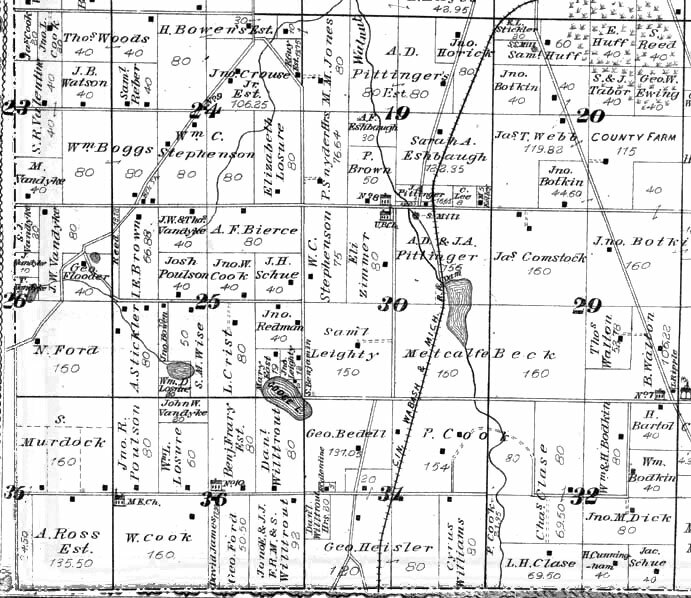 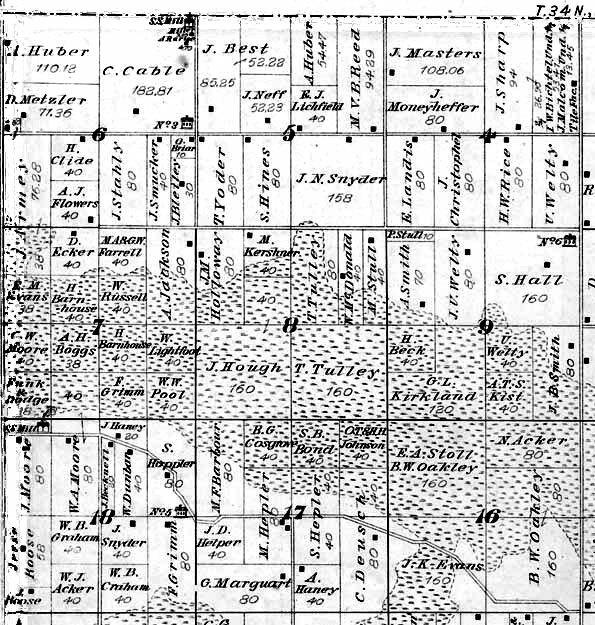 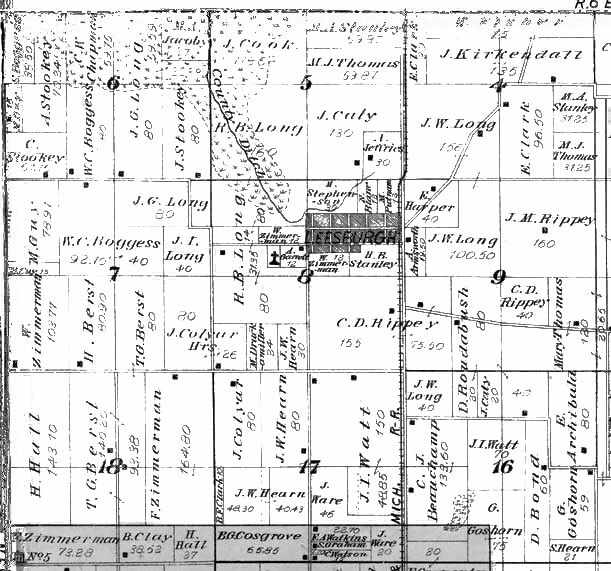 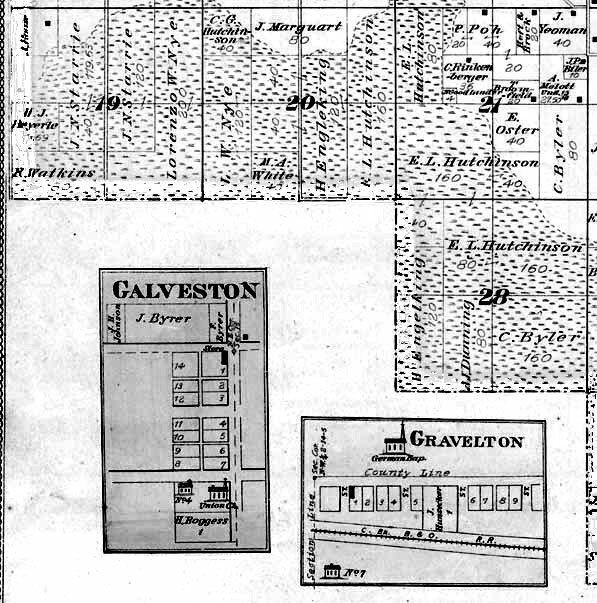 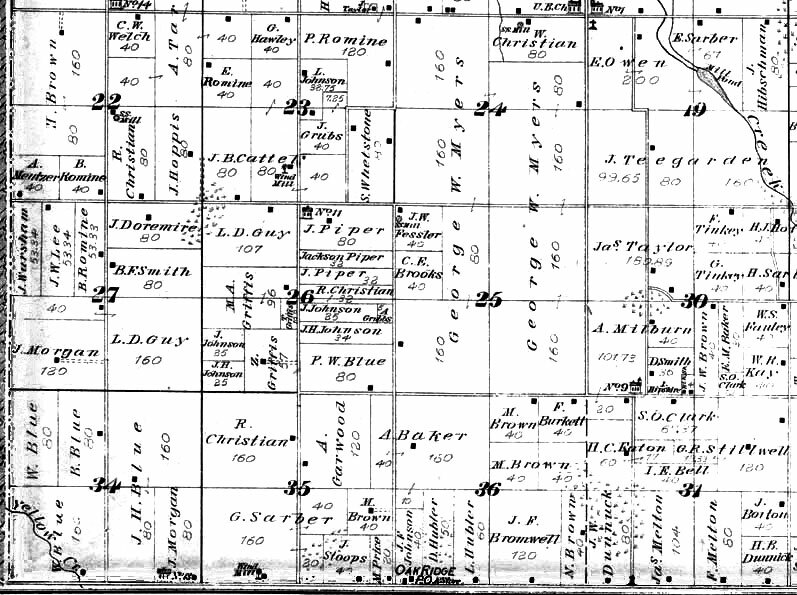 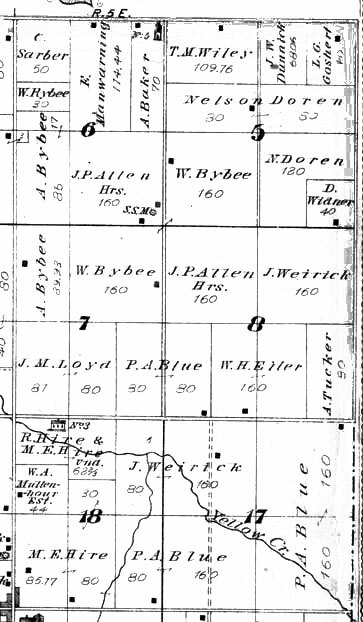 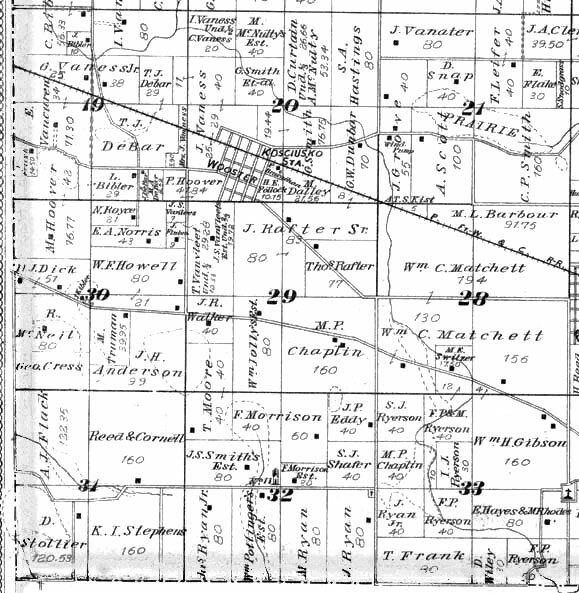 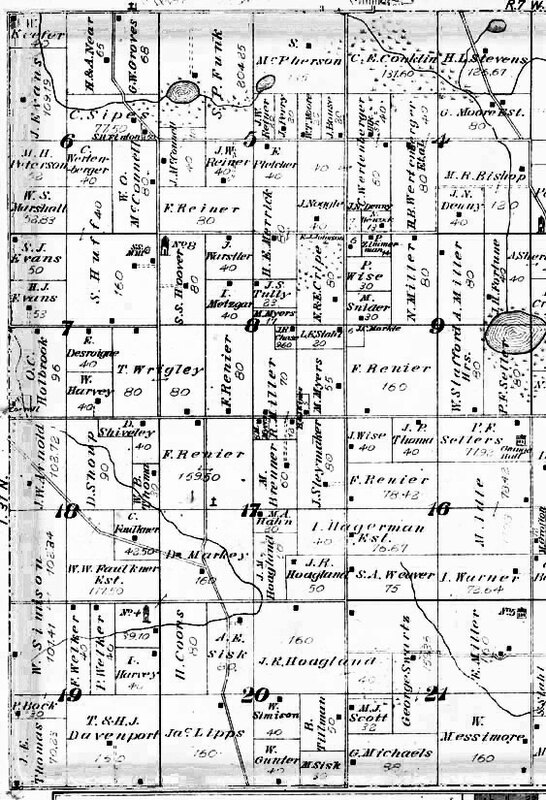 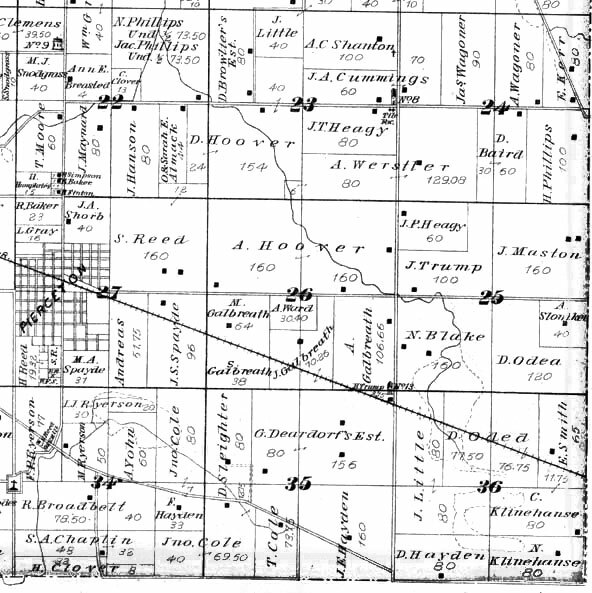 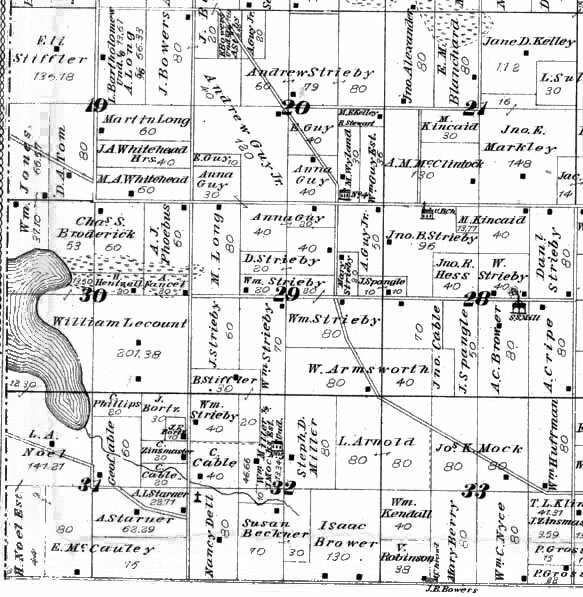 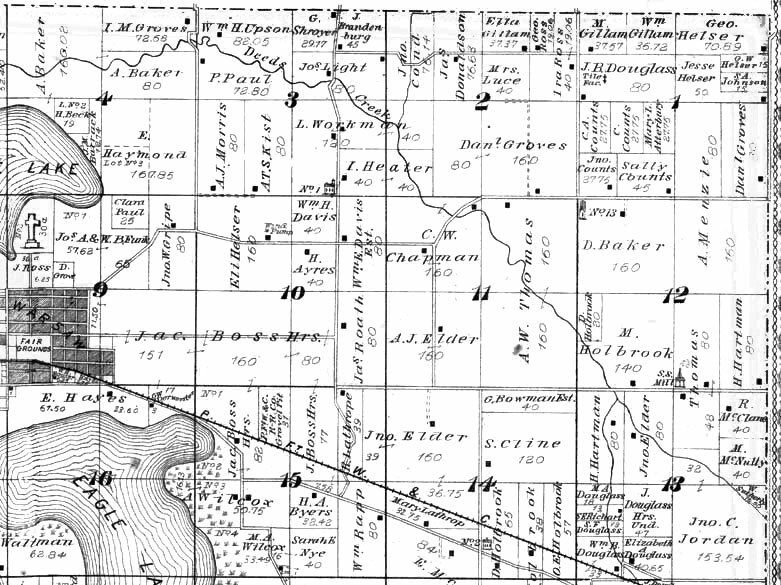 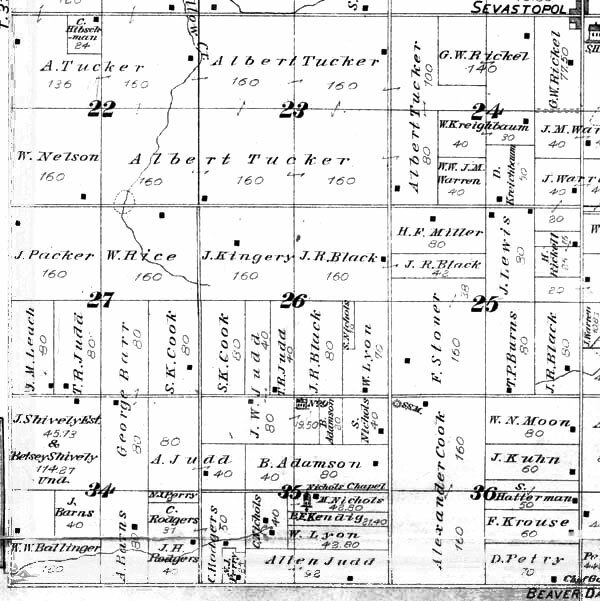 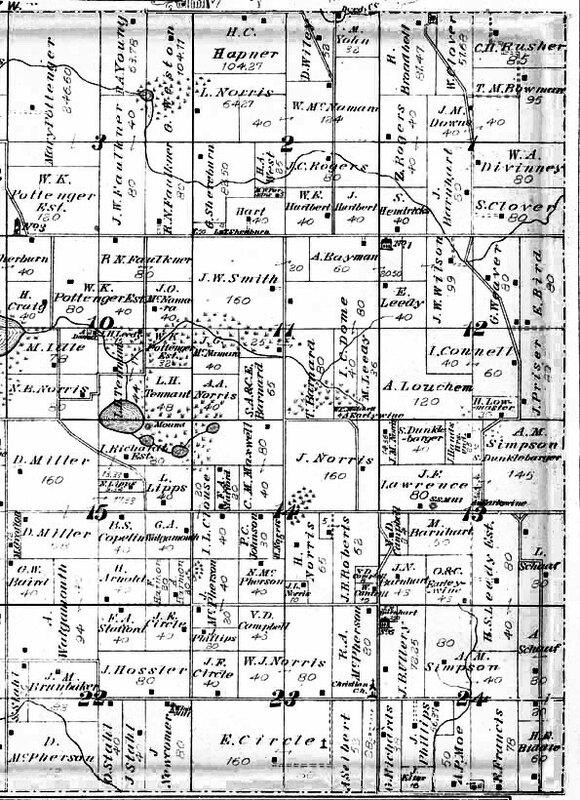 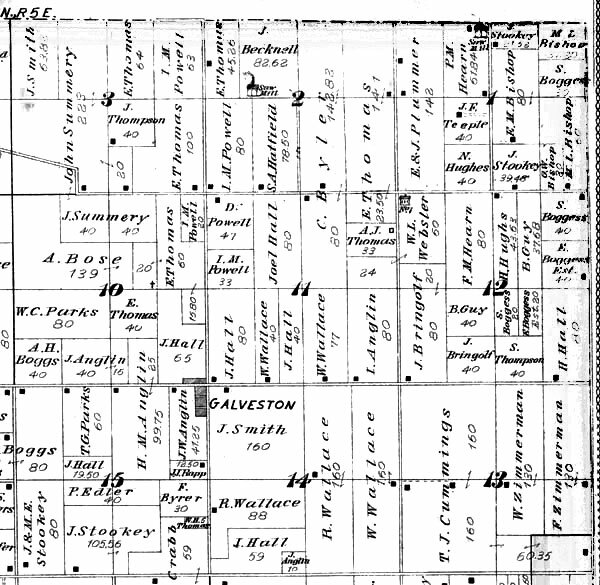 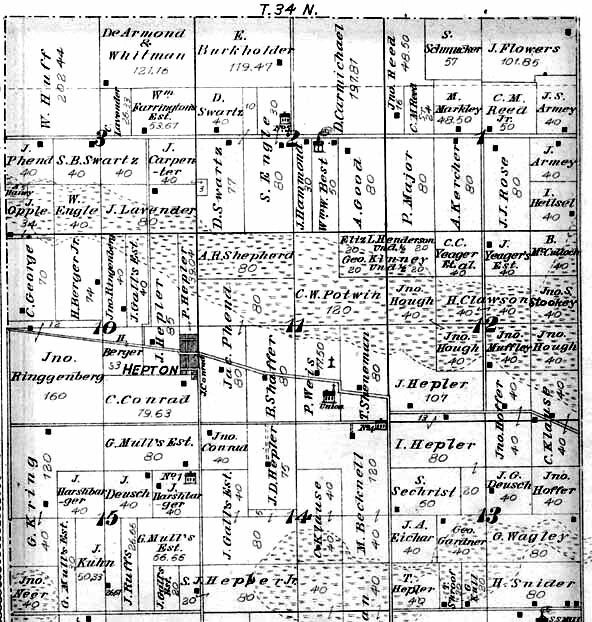 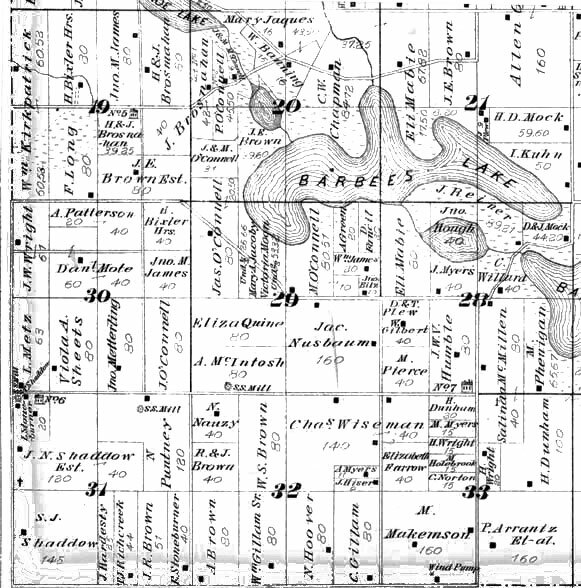 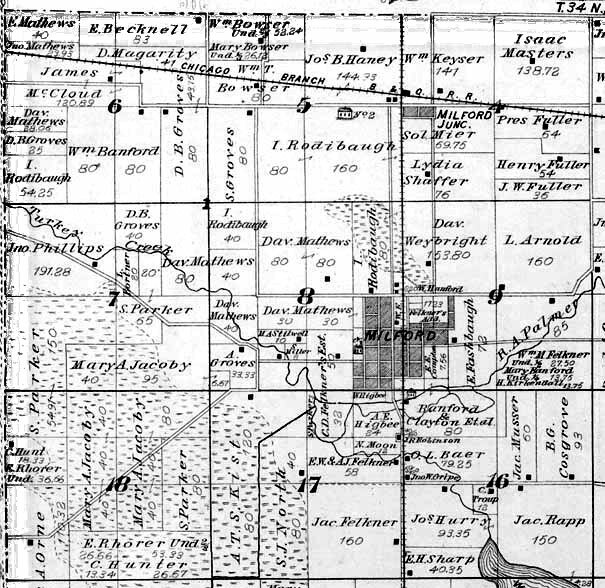 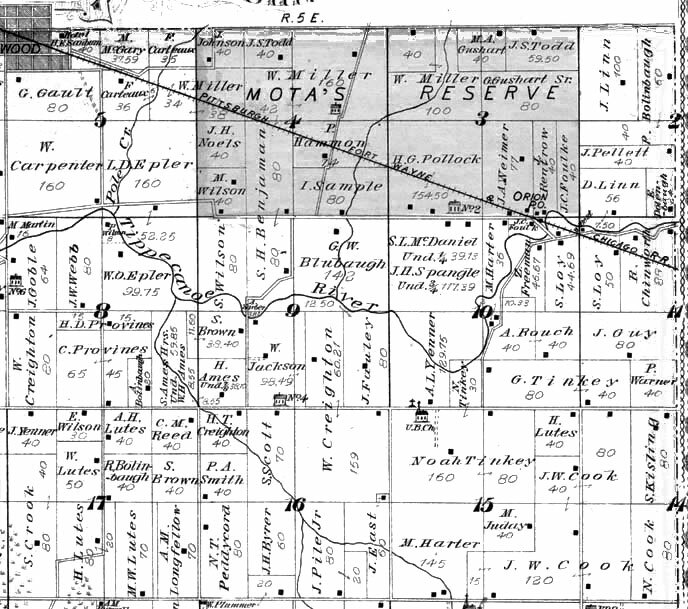 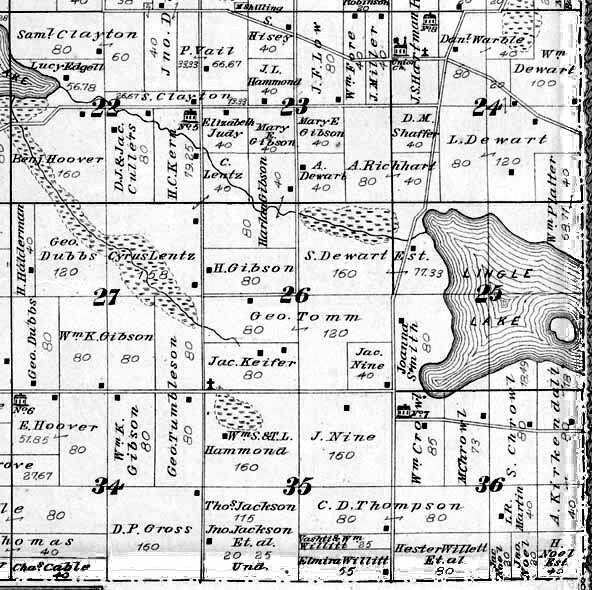 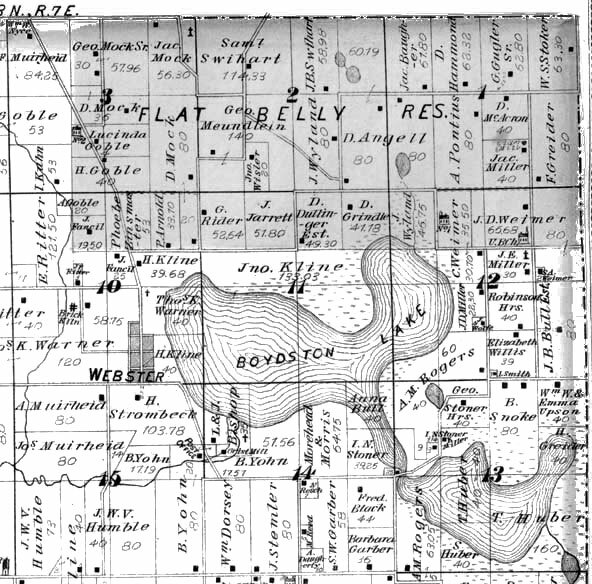 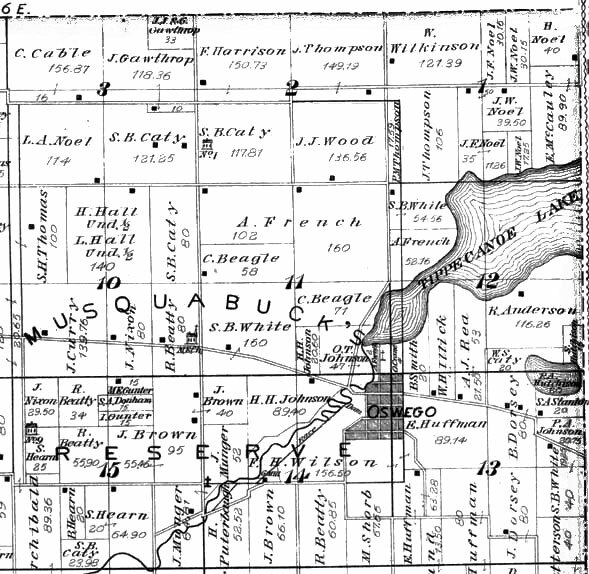 More information on researching Land Records in Kosciusko County can be found here. 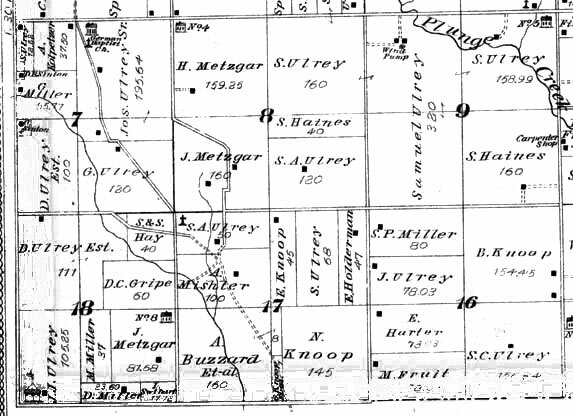 Thanks for the presentation of this data goes to Sherry Holthe, Marge Priser and Gene Andert.